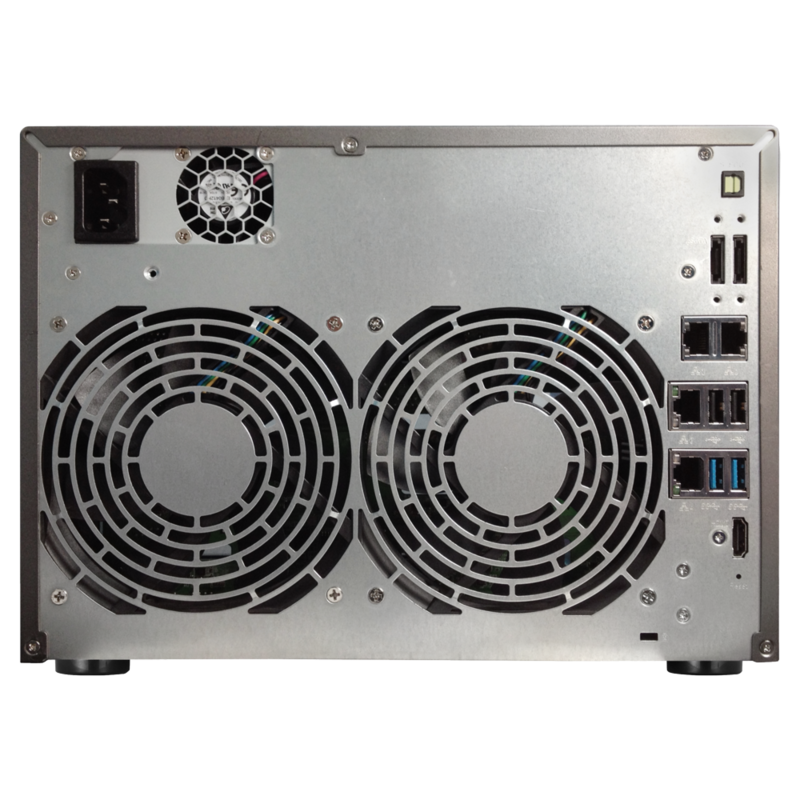 The AS6210T is equipped with a powerful Intel Celeron quad-core processor, 4GB of memory (expandable up to 8GB) and built-in AES-NI hardware encryption providing superior transfer performance and security. 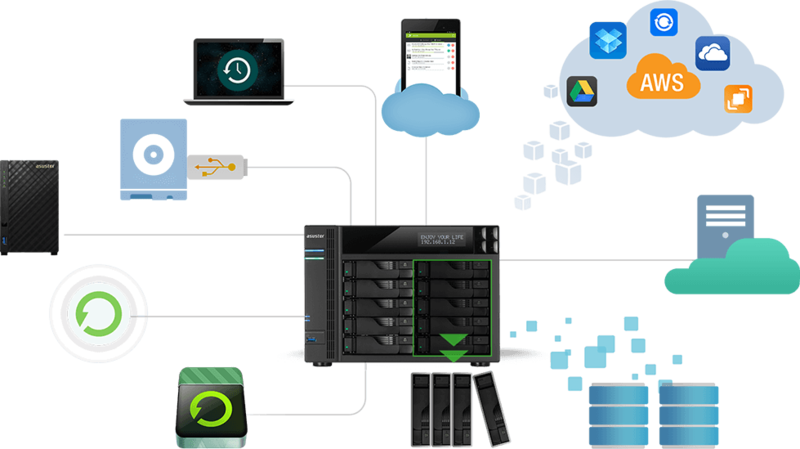 Your data is completely protected from the moment it is first stored on the NAS. 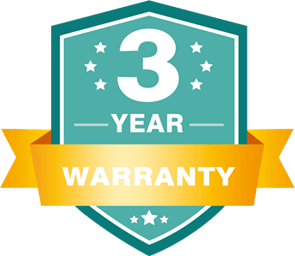 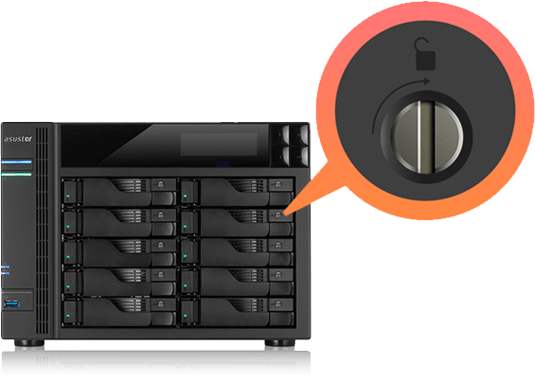 This means that you never have to worry about your confidential data falling into the wrong hands even if your hard disks become lost or stolen. 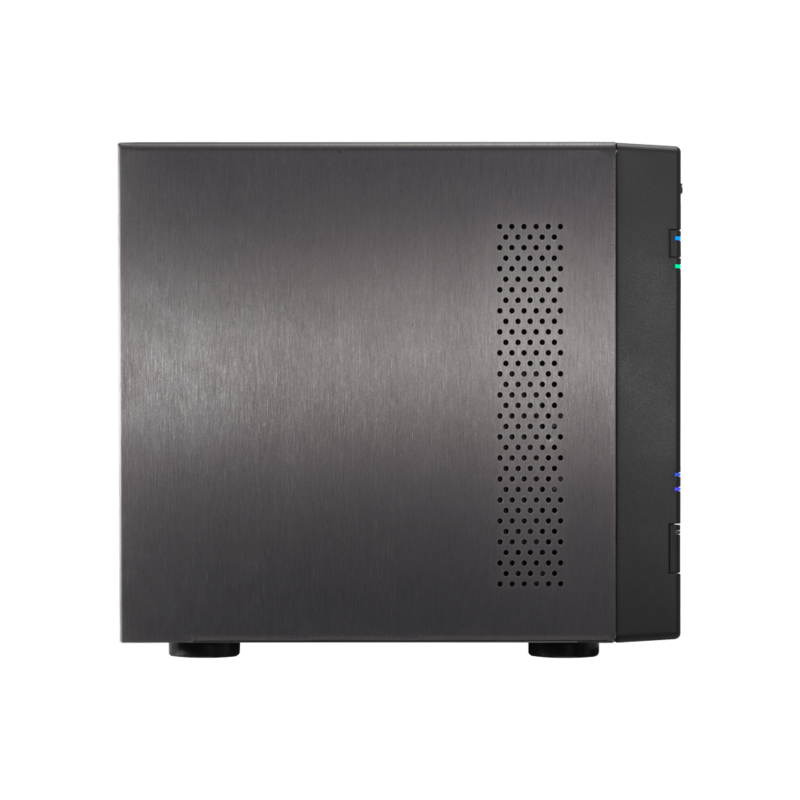 Under link aggregation, the AS6210T provides stunning read and write speeds of over 398+ MB/s and 355+ MB/s. A professional grade NAS needs to be equipped with a diverse array of expansion functionality. 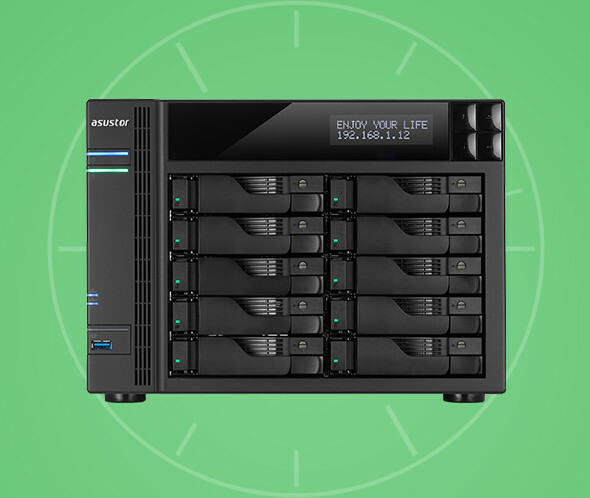 ASUSTOR has built in USB 3.0, USB 2.0, eSATA, and 4 Gigabit Ethernet ports along with dual-channel memory to allow this NAS to connect to different types of external devices and become an all-in-one multifunctional network storage device. 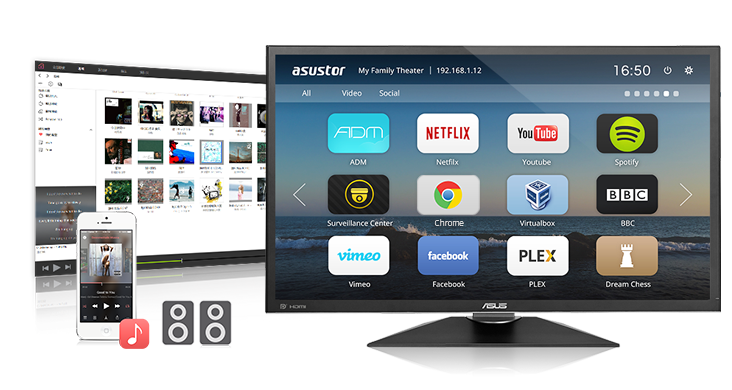 The AS6210T is also equipped with a high fidelity audio S/PDIF port and HDMI 1.4b port, allowing for perfect resolution playback and a superior digital entertainment experience. 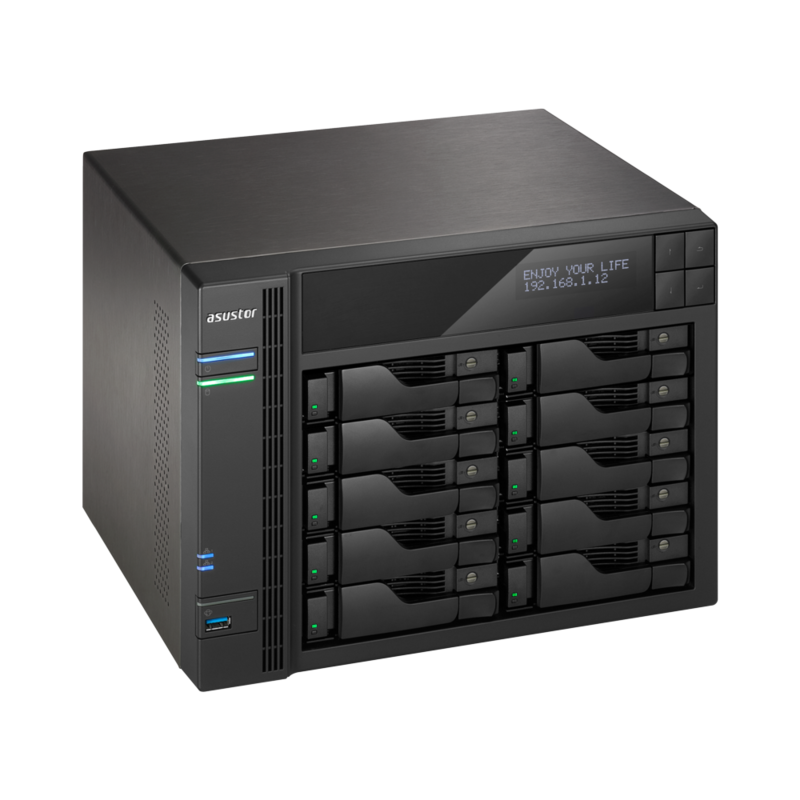 The AS6210T provides enterprise-class hardware and software and is compatible with VMware, Citrix, Hyper-V virtual storage environments. 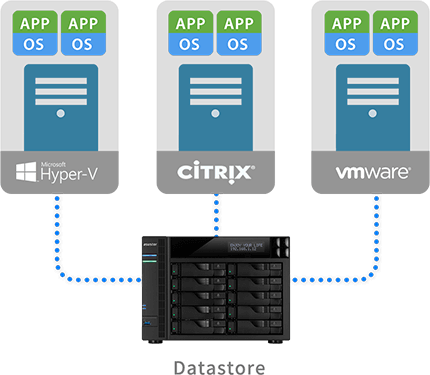 iSCSI/IP-SAN and NFS support allow it to seamless integrate with existing IT environments, providing an optimal and cost-effective storage solution. 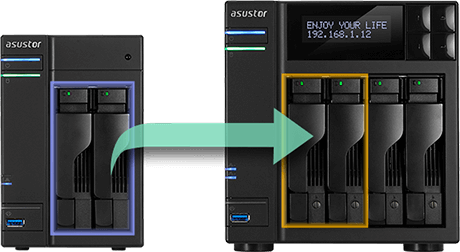 The AS6210T provides seamless cross-platform and multi-user access, allowing you to easily connect to your NAS from Windows, Mac OS X or Unix-like operating systems no matter if you are using a PC, notebook, tablet or smartphone. 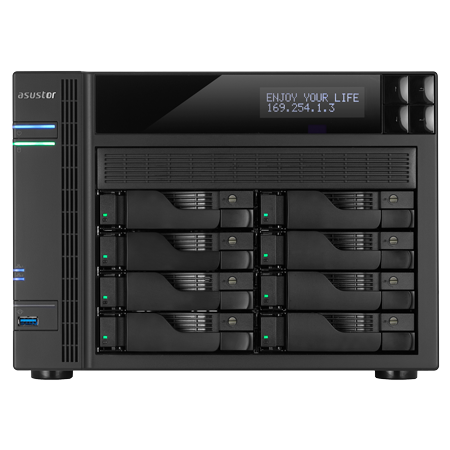 The AS6210T provides over 12 different backup options and is connected to a variety of public cloud storage services including Amazon S3, , Dropbox, Google Drive, OneDrive, Box.net, HiDrive, Ralus, WonderBox, xCloud and CrashPlan. 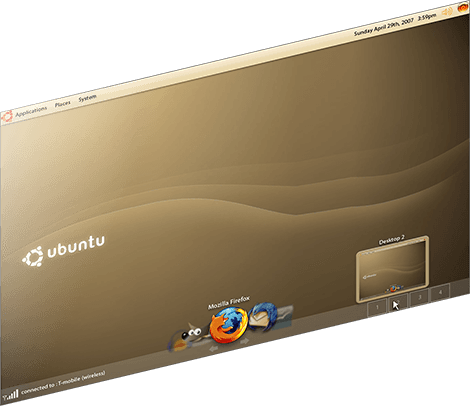 You can also use FTP Explorer, USB external hard drive enclosures, external hard drives and local backup to ensure proper backup for your data. 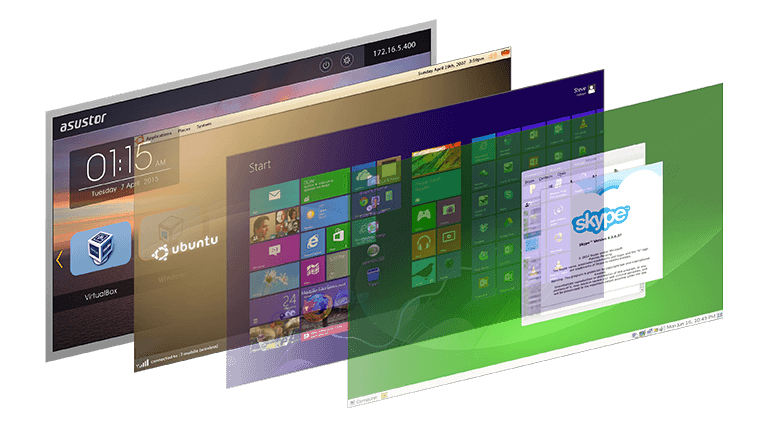 No matter if you are using Windows, Mac or Linux, ASUSTOR provides the proper tools for your backup needs. 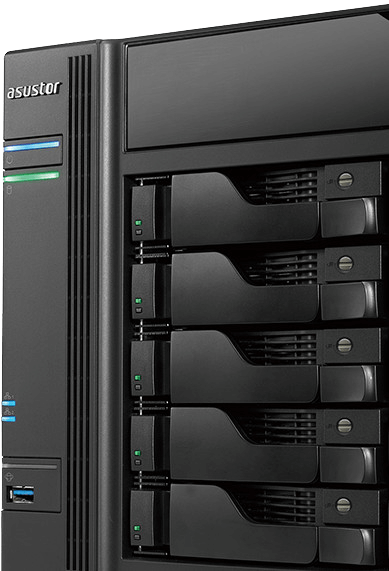 The AS6210T is cost-effective large capacity NAS. 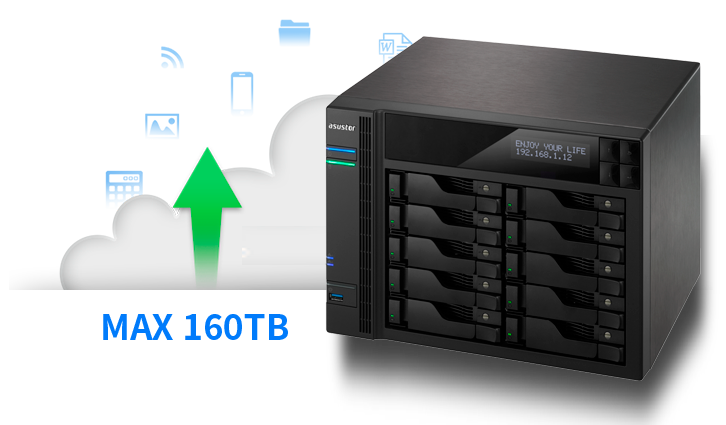 Users can install ten 14 TB hard disks to immediately create a high capacity storage space of up to 140 TB. 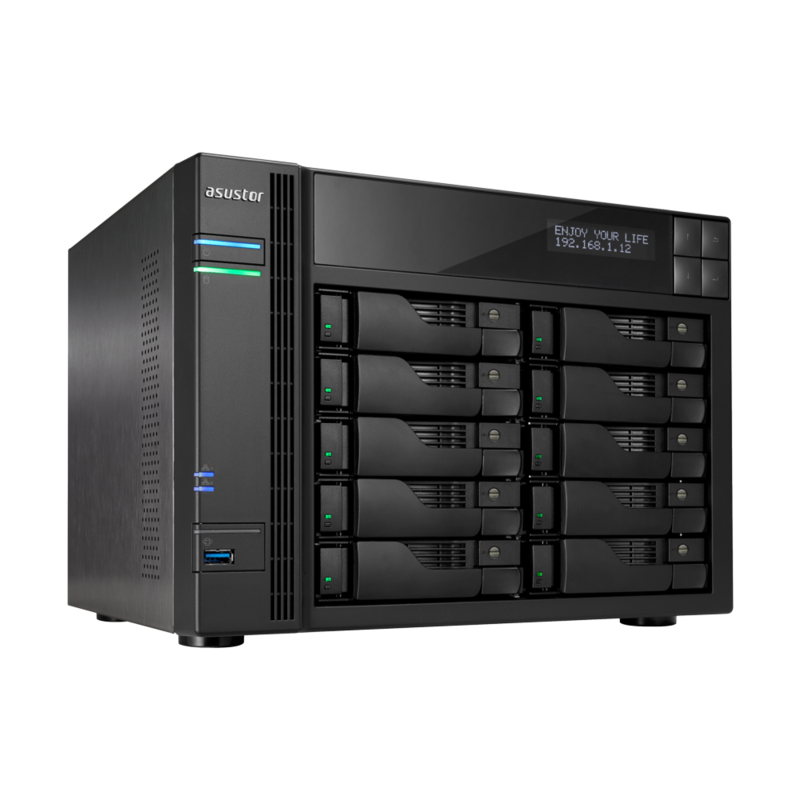 The AS6210T supports online capacity expansion, allowing you to flexibly plan your hard disk purchases. When your budget and storage requirements are smaller, you can purchase a smaller number of hard disks. 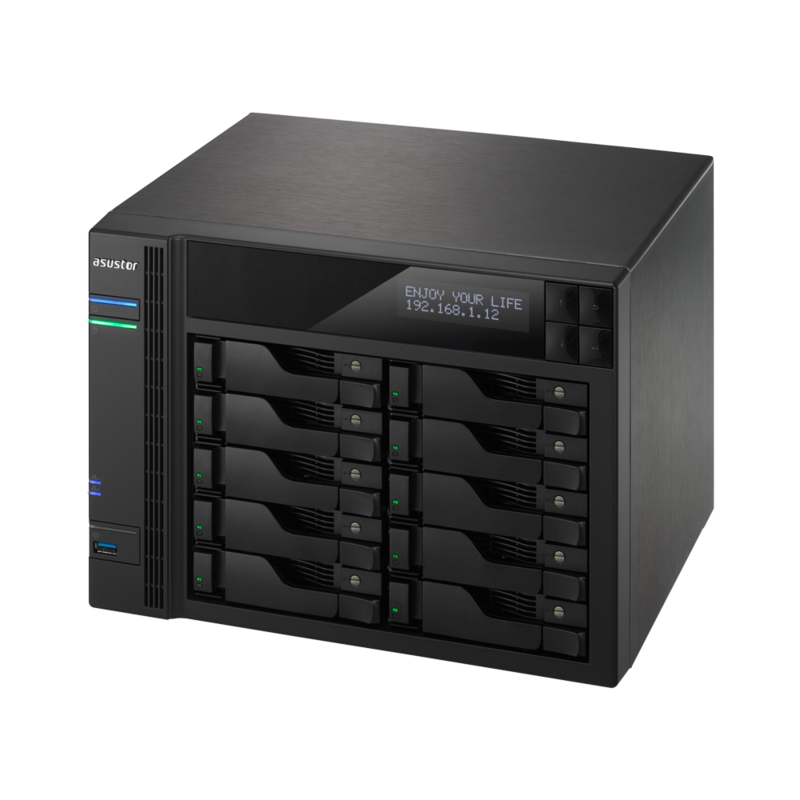 Additional disks can be purchased as your storage requirements grow. 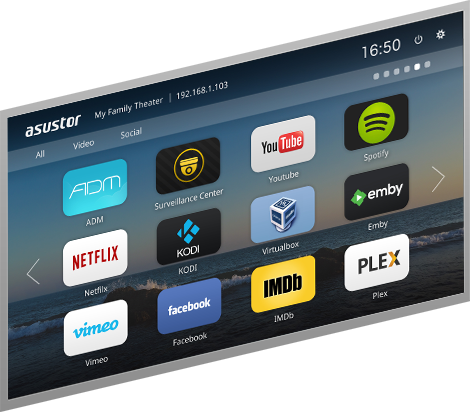 With the high capacity AS6210T, users can save all of their videos and photos in high quality resolution, preserving them perfectly without needing to be confined to the limited storage on memory cards. 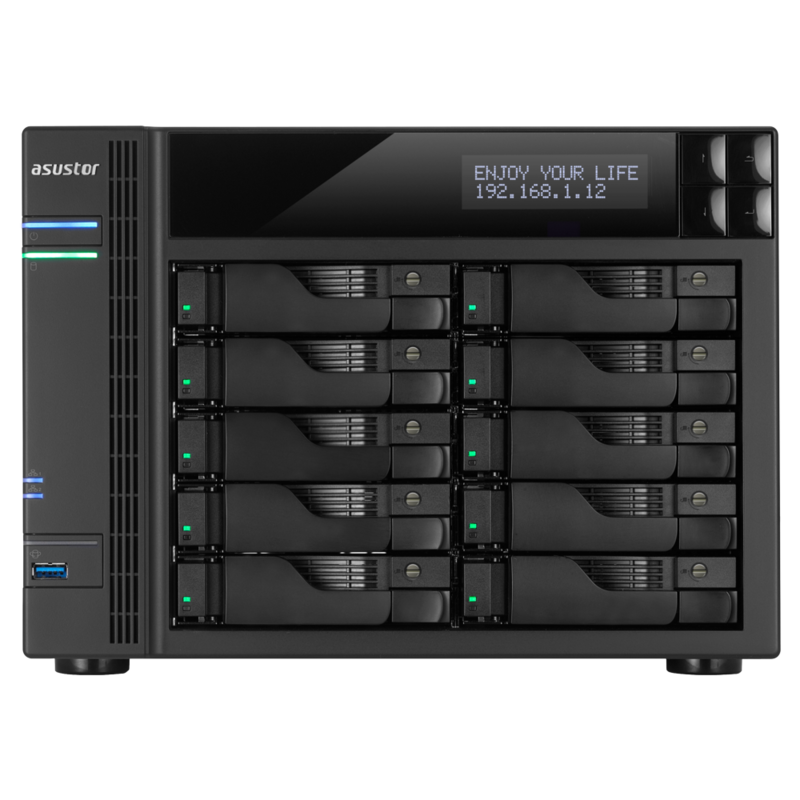 Additionally, RAID 5 and 6 storage volume setting provide comprehensive protection for all digital assets stored on the NAS, minimizing the risk of data loss due to hard disk failure or accidents. 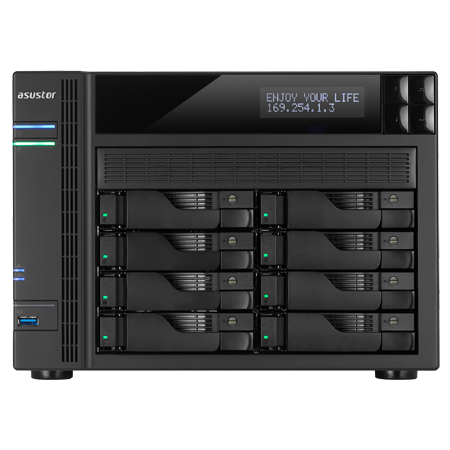 With regards to hardware, the AS6210T is equipped with a rich variety of I/O interfaces, allowing enterprise users to flexibly integrate existing equipment. 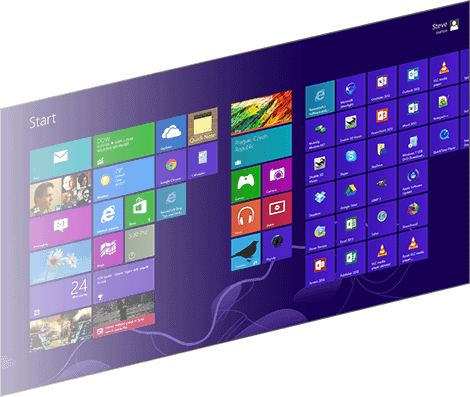 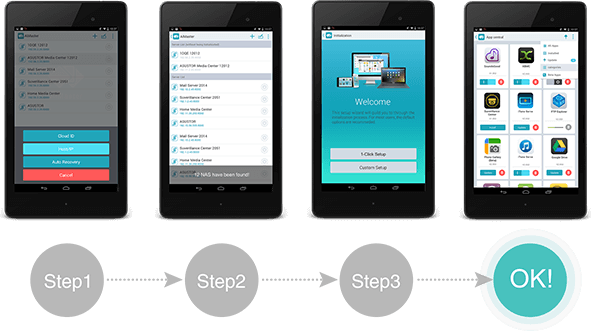 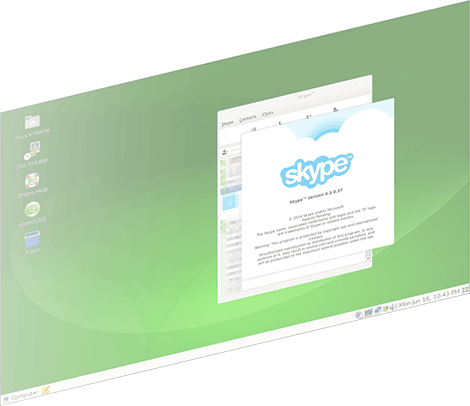 With regards to software, users can use App Central to install a wide variety of free enterprise Apps, saving on costs and increasing productivity.